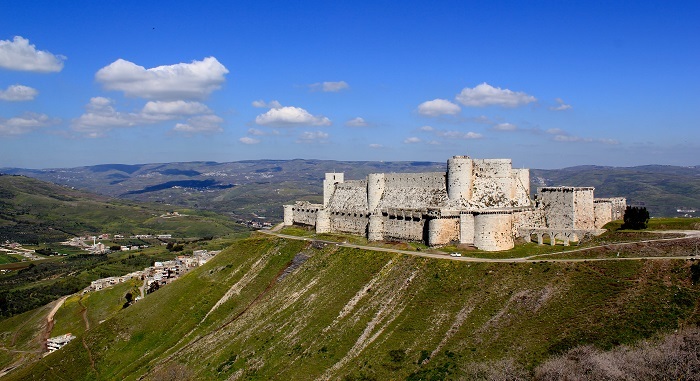 Krak des Chevaliers, sometimes written as Crac des Chevaliers, is a massive Crusader fortress which is considered to be one of the most important ones from the medieval period, and it is located in the western part of the Syrian Arab Republic. 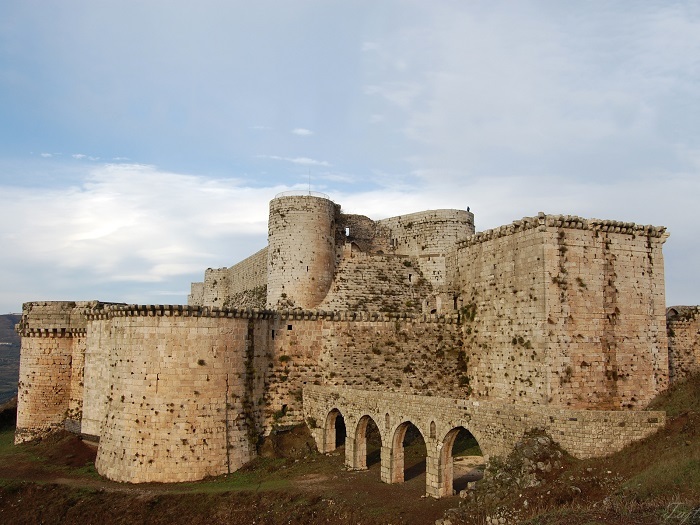 Being the best example of medieval military architecture, the fortress occupies the site of an earlier Muslim stronghold which was built by the Order of Knights of the Hospital of Saint John of Jerusalem, more commonly known as the Knights of St. John (Hospitallers). 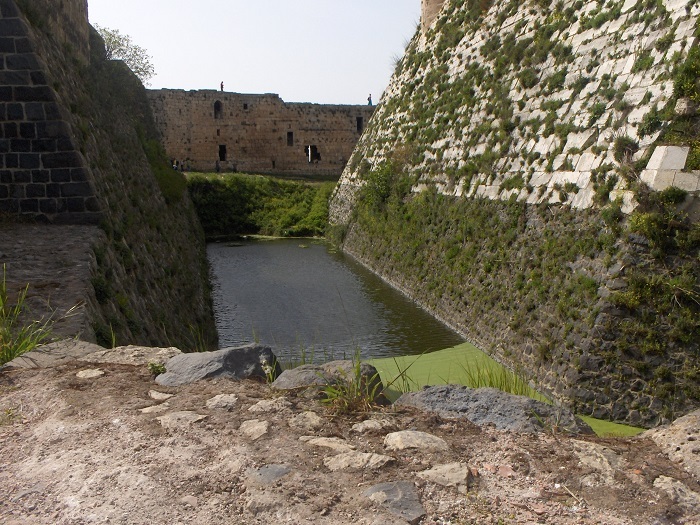 The knights hold the fortress between 1142 until 1271, and as soon as they had the fortification, they began with its rebuilding. 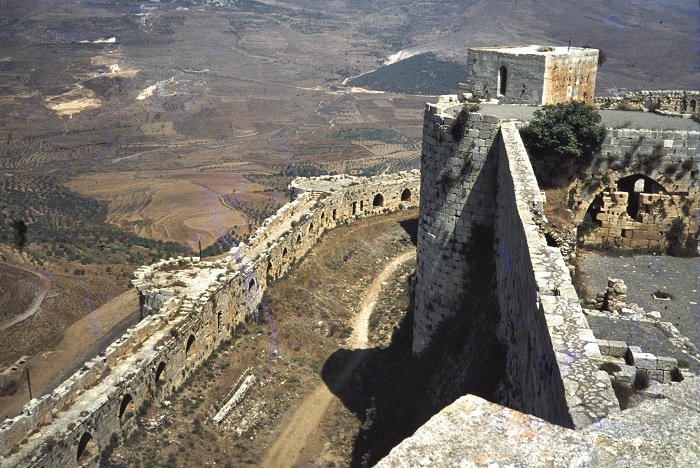 As they controlled several fortifications alongside the border of the newly founded state, the County of Tripoli, Krak des Chevaliers was definitely the most important one as it acted as the center of administration as well as a military base. Soon, the knights began with another building, this time around the central towers and walls, making it a concentric castle. 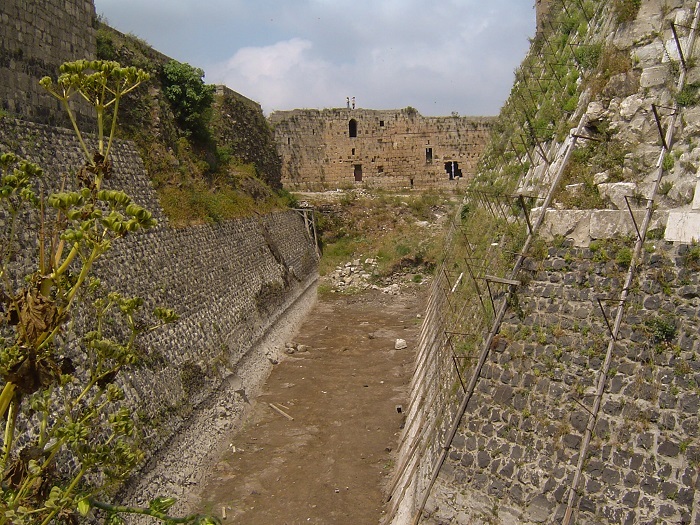 With this concentric layout, the fortress was defended from the outer walls much better from the Muslim attackers, and as the inner walls are higher when compared to outer ones, the defenders could always dominate their enemy from a superior height. 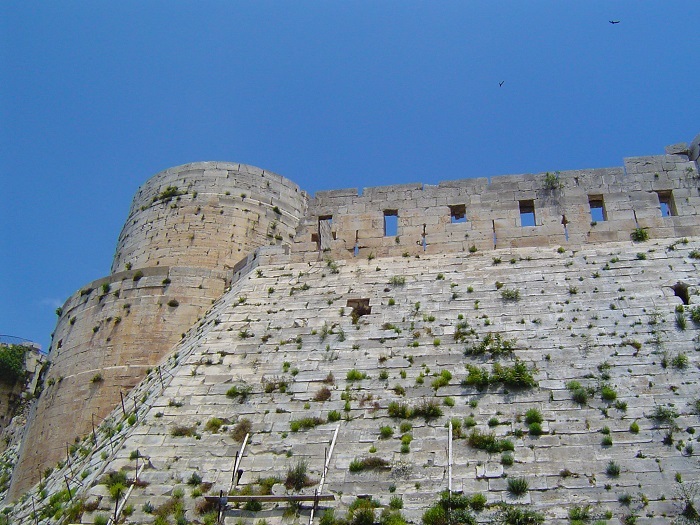 The main construction material that was used here was the limestone, whereas the ashlar facing is so fine that the mortar is barely noticeable. 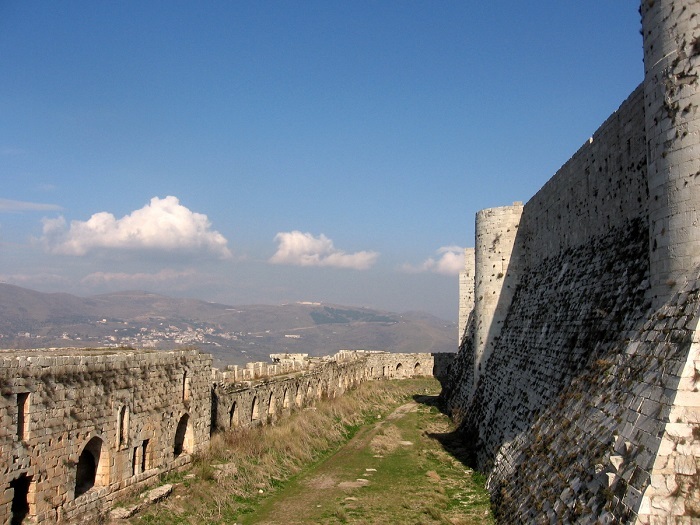 The most important feature is the inner ward, which has square towers and an entrance located on the eastern side. 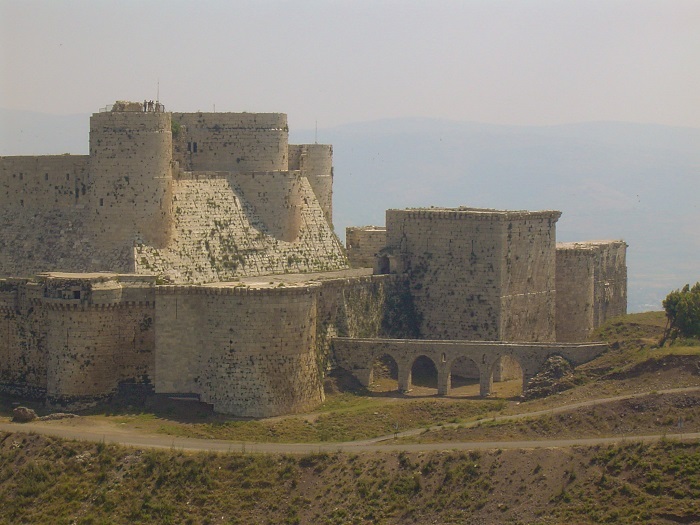 Due to the layout of the ground on which the fortress is built, Krak des Chevaliers has an irregular shape. 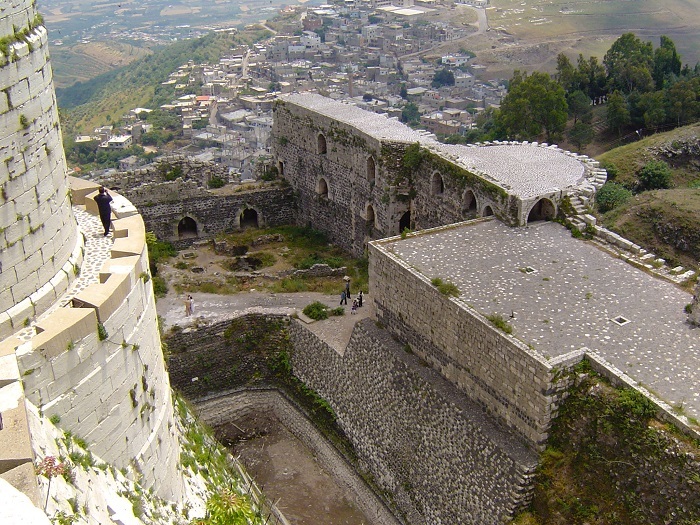 The inner ward also houses the Chapel which was most likely constructed after 1170, right after the strong earthquake which destroyed parts of the fortification. 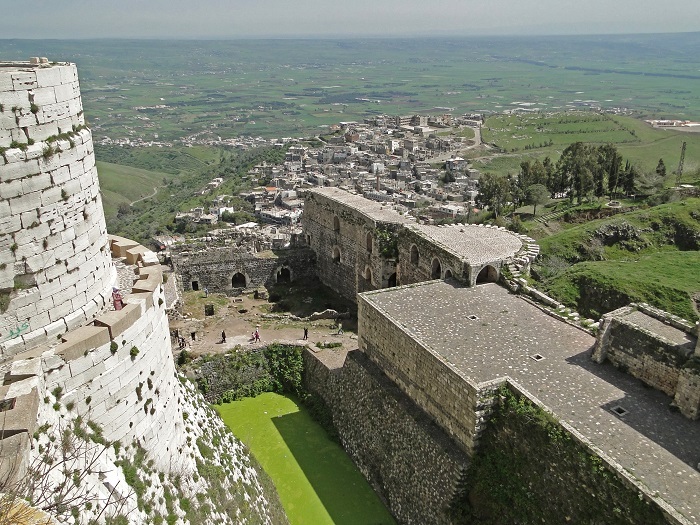 Still, the most important and second addition, the Outer Ward was constructed some time in early 13 century, and nowadays what we are able to see, is actually the grand masterpiece of the Knights Hospitallers. 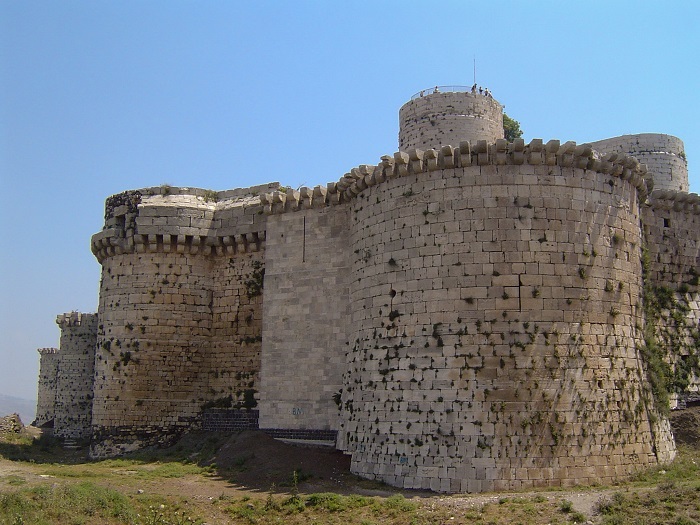 The most interesting feature of the Outer ward are the towers, which are quite distinctive from the inner one, as they are rounded, and at that time the design was new and even contemporary Templar castles did not have rounded towers. 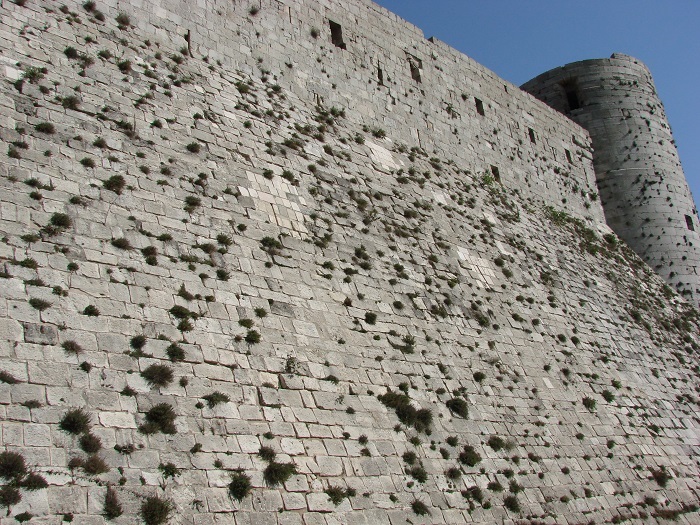 The main entrance was even enhanced, where a vaulted corridor led uphill from the outer gate in the northeast, making it a bent entrance which is 137 meters (450 feet) long, however, the most interesting feature at the entrance are the murder-holes which allowed defenders to shower attackers with missiles. 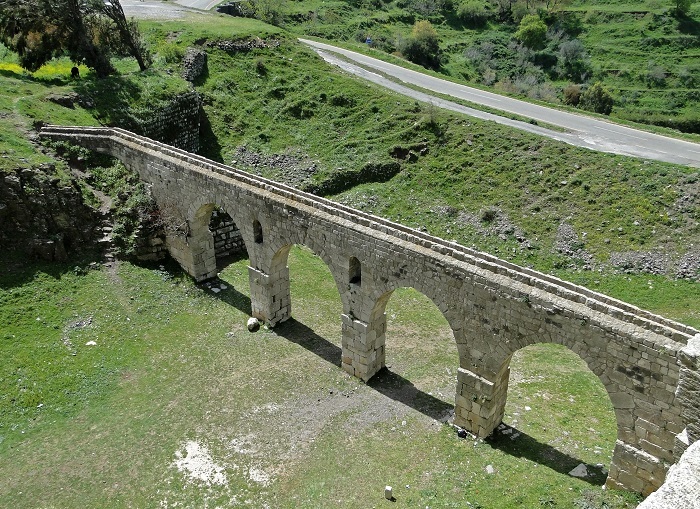 With the ability to accommodate up to 2,000 soldiers, the storeroom which is astonishingly 120 meters (394 feet) long, it could store supplies which would permit for the defenders to survive a siege of about 5 years. 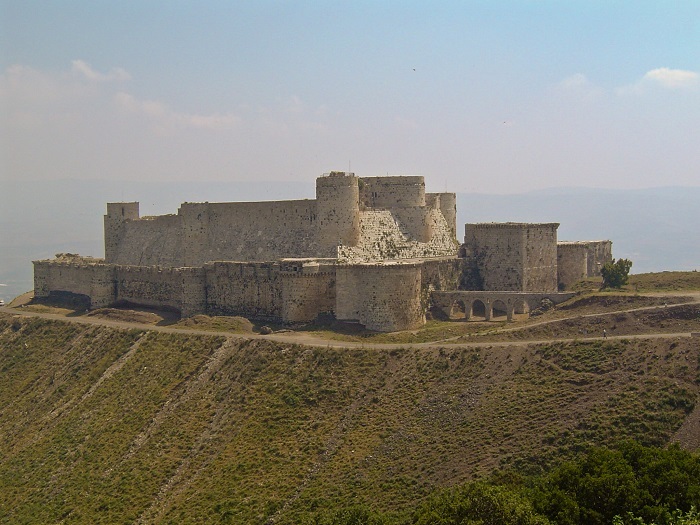 After long period of unsuccessful conquers, the castle finally was conquered in 1271 by the Sultan of Egypt, Baibars Mamluk, who managed to take the fortress after sending a forged letter to the defenders in the name of their master and commander in Tripoli ordering them to surrender the castle. 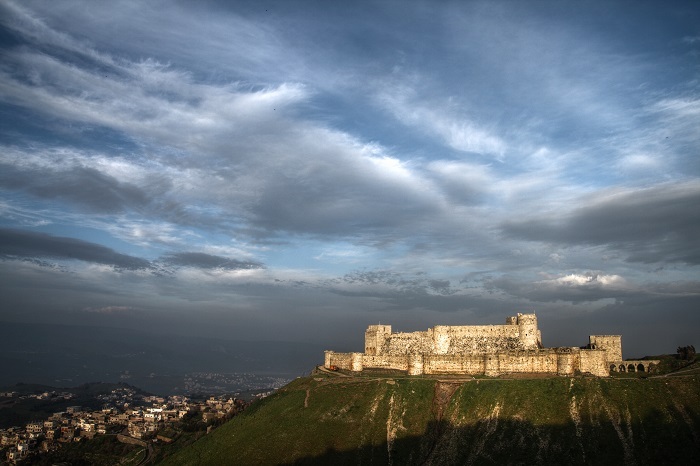 With that, Krak des Chevaliers is still considered as a fortress that has not been conquered, and due to its historic importance, it has been declared as a UNESCO World Heritage Site. 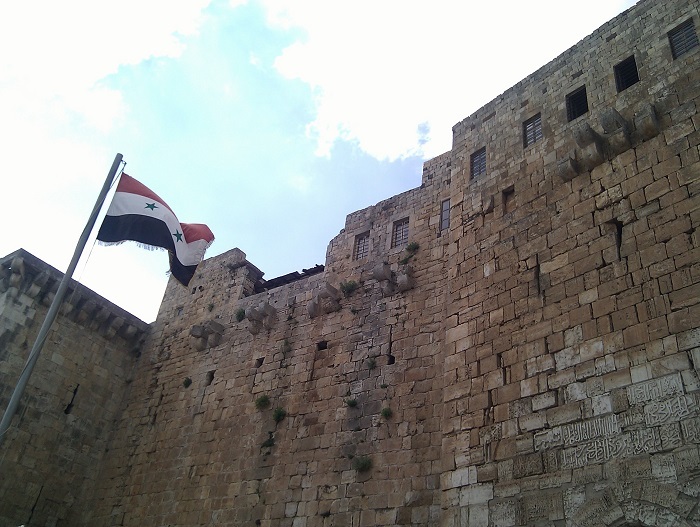 Inscribed on the heritage list since 2006, with the Syrian civil war, it is considered as an endangered monument since 2013. 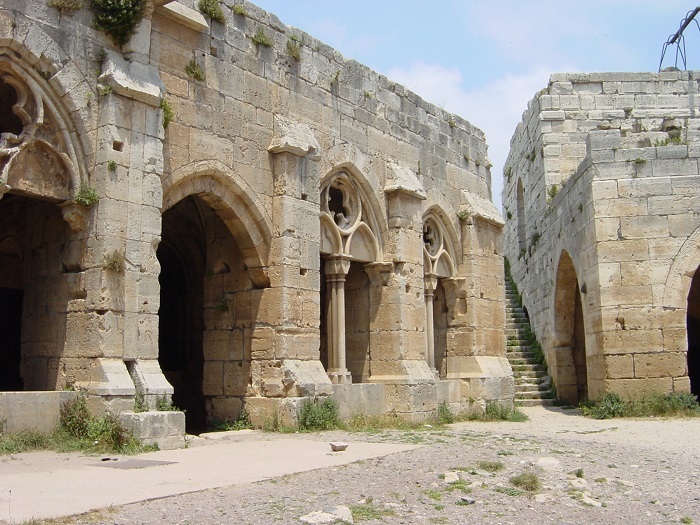 In conclusion, even though the Knights Hospitallers do not have territories to defend, nowadays they are known have a diplomatic status and are known as the Sovereign Military Hospitaller Order of Saint John of Jerusalem, of Rhodes, and of Malta, headquartered in Rome, Italy. 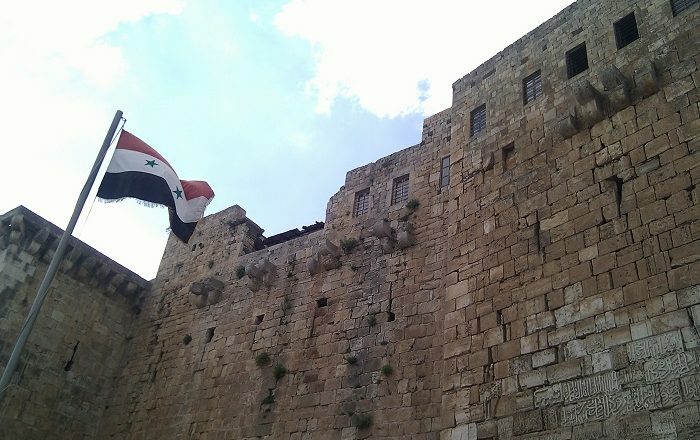 With their long history, they managed definitely to create a masterpiece of architecture which still today gives a glimpse of the fortification and defense from medieval times which is sometimes taken into consideration today when building similar structures.